Welcome to Cryostar Tank and Vessel Private Limited, Manufacturer and Exporter of Plants and Equipments for Industrial Gases. The company was established in the year 1988. We serve to Petroleum, Fertilizers, Gas and other industries. Cutting edge technology, efficient logistics support and complete client satisfaction are the factors that help us to stay ahead of our competitors. We offer a huge gamut of Pressure Vessels, Distillation Columns, Industrial Boilers and Filter Vessels. Our Pressure Vessels are best in the industry amongst others. Distillation Columns offered by us are reckoned all over the world for their superb quality. We offer Control Structures for Distillation Columns that are cost effective. We have gained tremendous expertise in providing Industrial Boilers and Filter Vessels. 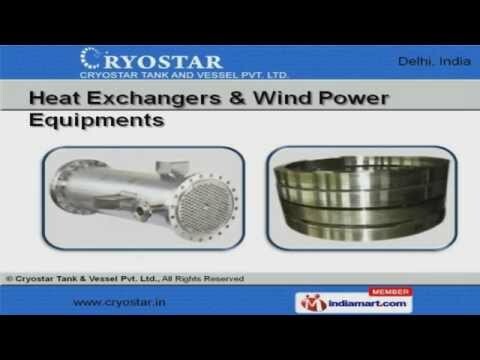 Our Heat Exchangers and Wind Power Equipments are well known for their outstanding performance.